Join us at the St Cuthbert’s Primary School Summer Fair! 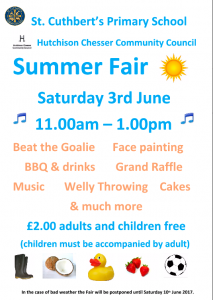 There will be lots of activities, stalls, a BBQ, food, drink & more! We look forward to seeing you all there.